You probably have a dozen or more Wi-Fi connections saved on your Android phone: your home network Everything You Need to Know About Home Networking Everything You Need to Know About Home Networking Setting up a home network is not as hard as you think it is. Read More , friends’ houses, the workplace, and many more. Most of these require a password, which you probably asked the owner for and then forgot about. Unfortunately, Android doesn’t let you view the passwords of saved networks, so if you want to share a network with a friend, you have to look up the passkey again. Fortunately, there’s a workaround. Note: Your device must be rooted The Complete Guide to Rooting Your Android Phone or Tablet The Complete Guide to Rooting Your Android Phone or Tablet So, you want to root your Android device? Here's everything you need to know. Read More to use these applications. These apps are meant to retrieve passkeys for Wi-Fi networks you’ve already connected to. They won’t help you break into new Wi-Fi networks. Install your preferred app, grant it SuperUser permissions, and you’ll be taken to a list of saved Wi-Fi networks. For Wi-Fi Key Recovery, the PSK field is the password. Wi-Fi Passwords will have a network’s password underneath it. Both apps allow you to search for a network’s SSID (the public name you see when connecting to it). A screenshot will probably do for sharing a password with a friend, but if you need to export your entire list, you can also utilize each app’s built-in sharing options. Having trouble with your network? We’ve shown how to find and change your Wi-Fi password How to Find & Change Your WiFi Password How to Find & Change Your WiFi Password Once your WiFi is set up, you feel no reason to remember the password. Until you need to connect another device. What's the password again? Fortunately, it's easy to find out! Read More . 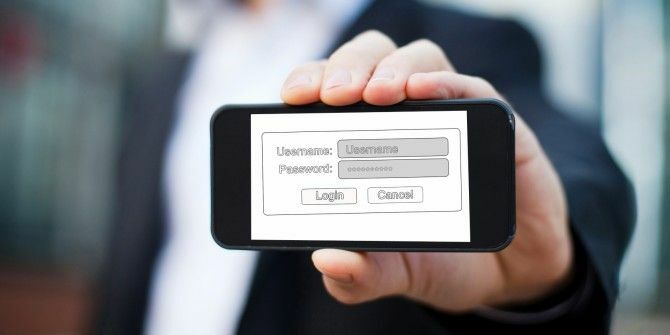 What network passwords did you recover with these apps? Which app do you prefer? Let us know in the comments!